As Jamaica celebrates 50 years of independence, an exhibition of art and design takes place in Birmingham until July 13 as part of the city's BASS festival. As Jamaica celebrates 50 years of independence, an exhibition of art and design takes place in Birmingham until July 13 as part of the city&apos;s BASS festival. 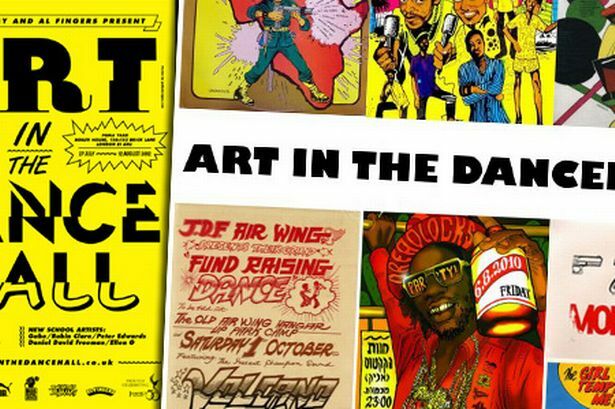 Art In The Dancehall, curated by Shimmy Shimmy and Al Fingers, and in association with the PUMA YARD and Jamaica50, puts dancehall illustration and design from 1980 onwards into the spotlight. The vibrant artistic scene has been a big influence on design and letterform in pop culture today. While early 1980s Jamaica was changing politically and musically, graphic designers and illustrators translated the energy and colour of the times into images, painting a world of crazy characters in highly saturated colours. Art In The Dancehall will feature cover art by seminal 1980s Jamaican artists Limonious and Jamaal Pete, alongside UK artist Tony McDermott and posters by Jamaica’s most celebrated poster designer, Sassafras. Exclusive to the show will be a previously unseen photograph of the prolific yet little-known artist Limonious, alongside preparatory artwork by Tony McDermott that has never before been exhibited in the UK. This foundation will be complemented by the work of five young artists from four different countries (Jamaica, Israel, Germany and England) who are keeping the tradition alive: Robin Clare’s bright depictions of popular dances, Ellen G’s detailed illustrations and portraits of dancehall deities, Gabe’s bold black & white patterned take on reggae iconography, Peter Edwards’ zine covers and Daniel David Freeman’s hand-made recreation of part of the suit worn by Buju Banton on the cover of his Stamina Daddy LP. Art In The Dancehall launches on June 27 at the BASS Festival, Birmingham, at The Drum, 144 Potters Lane, Aston, Birmingham B6 4UU. Until July 13. Launch night: 27 June, 6:30–8:30pm. • BASS Festival (British Arts and Street Sounds) a month-long celebration of Black Music and Art. The festival includes a line-up of events, new commissions, gigs, exhibitions, master classes, showcases, club nights, theatre, conferences and film.